You can use the Google Map below to get directions to the venue. 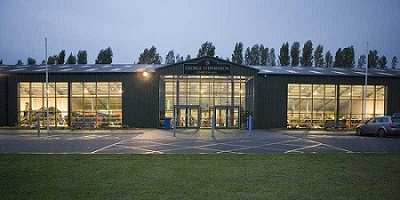 Travelling from North on A1: Take the A46/A17 exit towards Sleaford / Lincoln / Newark Showground and Air Museum. At the first roundabout take the 2nd exit onto the A46 (N). Pass the Murco Fuel station on the left, you will need to get into the right hand lane for the next roundabout, take the 3rd exit (Right turn) towards Coddington, Showground and ‘Air Museum’, you are now in Drove Lane. Continue along Drove Lane to the entrance of the Newark Showground which is on the right hand side. Pass through the main entrance gates, (picture above). 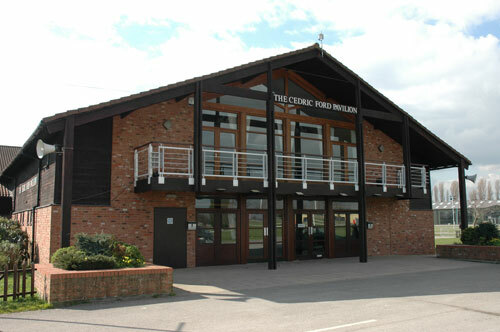 Once inside the showground the Gamers Lounge (Cedric Ford Pavilion) is straight ahead and the George Stephenson Exhibition Hall is to the right of the Gamers Lounge. Travelling from the South on A1: Take the A46/A17 exit towards Newark / Lincoln / Sleaford. At the first roundabout take the 1st exit onto the A46. Follow the ‘Showground’ and brown signs for ‘Air Museum’. Pass the Murco Fuel station on the left, you will need to get into the right hand lane for the next roundabout, take the 3rd exit (Right turn) towards Coddington, Showground and ‘Air Museum’, you are now in Drove Lane. Continue along Drove Lane to the entrance of the Newark Showground which is on the right hand side. Pass through the main entrance gates, (picture above). 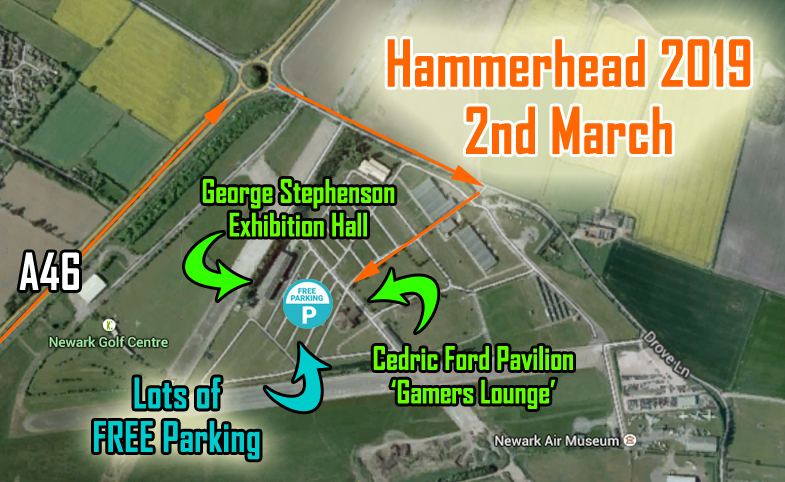 Once inside the showground the Gamers Lounge (Cedric Ford Pavilion) is straight ahead and the George Stephenson Exhibition Hall is to the right of the Gamers Lounge.